Who doesn’t love beauty tips? I bet you research for some effective beauty regimen advice from time to time because, let’s face it, with a lot of cosmetic products on the market these days, it’s difficult to decide which way to go. The release of new beauty accessories seems to happen every day, and it’s overwhelming especially for girls who want to keep up with the latest trend. But don’t you think you just conform to the trend and not actually getting your desired results sometimes? Maybe you just need to sit back, relax, and carefully evaluate if the product you’ve been dying to buy is really good for you. With the countless number of products on the market, people tend to forget that “simpler is better.” We don’t have to splurge on expensive beauty accessories especially when there are alternatives that are not only cheaper but also more effective. Here, we list down some of the simplest beauty regimens that you can do right in the comfort of your home. Relax and forget about going to the salon this time because these tips will definitely help you be more beautiful from head to toe. Yellow nails usually happen when you use a cheap nail polish, and this condition stays for a long time unless you’re going to resolve it. But you don’t have to buy anything to bring back the beauty of your nails, all you have to do is whiten them up by rubbing toothpaste to remove the stains. You can also add few drops of lemon for extra whitening. We know that toothpaste has a natural bleaching property, but I’m sure you had no idea that it can effectively work on yellow nails as well. Burns are not only painful, but they can also leave a bad impression on your skin, but don’t run to the specialist yet because the effective remedy for this problem can only be found right in your kitchen. Milk is an effective first aid treatment because its fat and protein content can soothe burns and promote healing. Just pour milk in the affected area and wait for a few minutes until the pain goes away. Yes, a powder is not only for face, but you can also put it on your head if you want to make your hair look better. If you have oily hair or you didn’t get a chance to take a shower, you just need to a powder to look your best. Get a fluffy makeup brush, dab it onto the loose powder and then brush it on the roots of your hair. Shake off the excess to make sure it won’t go to your clothes. It removes oil and grease and makes your hair look freshly washed. Calluses on feet are very common especially in people who have been wearing closed shoes for a long time. To soften hard calluses, all you have to do is to put on petroleum jelly on them and put on socks before going to bed. You’ll notice that the hardened skin slowly becomes soft after just a few days of applying petroleum jelly. 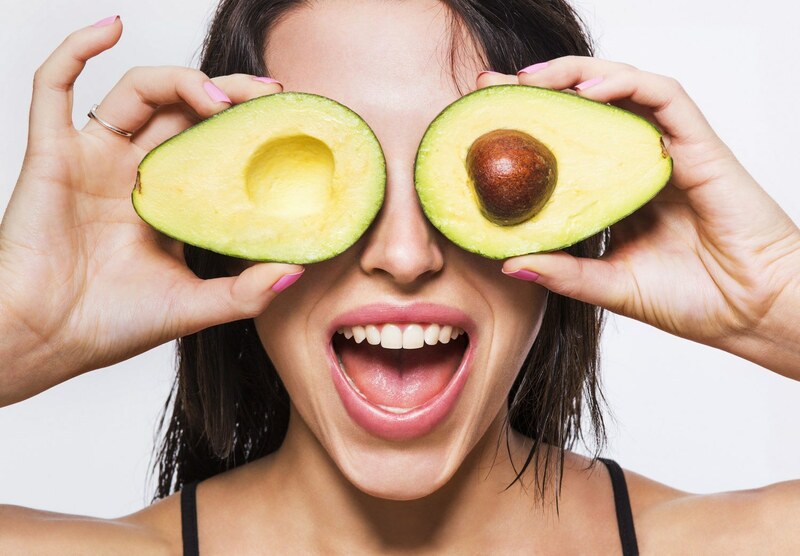 Avocados are natural moisturizers. Mash one up and apply this on your body just before taking a shower. You will notice this body mask will do wonders for your skin. The natural oils in the avocado can penetrate deep into your skin which helps to soften and hydrate dry and flaky patches. If you’ve tried numerous brands of dandruff shampoos, but your scalp remains dry and itchy, try using an all-natural home remedy instead. Brown sugar helps in moisturizing your scalp making it impossible for fungus and dry skin that cause dandruff to grow and spread. Mix two parts of brown sugar with one part of conditioner and then use this on your scalp. Leave on for about 2-3 minutes and then rinse it off. If you want shiny legs, but you don’t have any bronzing lotion with you, mix your body lotion with a few drops of baby oil. This is way cheaper than buying an expensive bronzing lotion, but it can help you achieve the same effect. If you want to remove dead skin cells, then rub lemon juice with some sea salt on your hands. Rub your hands with a toothbrush for better results. If your eyeliner is crumbly, don’t throw it right away. Freeze it for around 10 minutes to help it regain its shape. If you ran out of shaving cream, then you can use your hair conditioner instead. The moisturizer in the conditioner will help prevent razor burns and will keep your skin smooth. Crack an egg into a bowl then separate the yolk. Use the egg whites to make a face mask. The protein present in the egg will help you to heal and restore your skin’s moisture. Leave it on for five to ten minutes and rinse off. The egg whites tighten the skin, and the egg yolks can also be used as a moisturizer. While it’s easier to put on the eye mask that you bought from the beauty shop rather than preparing a homemade one, we recommend that you do this egg white mask instead because it is guaranteed to be more safe and effective compared to the ready-to-use product that surely contains chemicals.